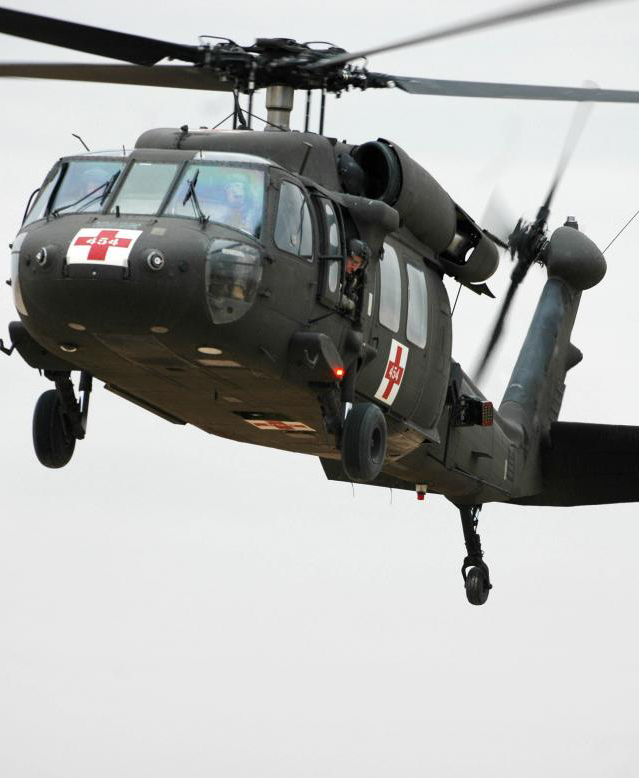 The recent discussions about removing the Red Crosses on white backgrounds from the Army’s MEDEVAC helicopters created quite an uproar from Army leadership. They based their arguments against doing so mostly on a misunderstanding the terms of the Geneva Convention. They also disregarded an opinion issued in October 2008 by the Army’s Judge Advocate General – International and Operational Law Division to the Surgeon General of the Army/Commanding General of the Army Medical Department (AMEDD) which said that a proposal to remove the Red Crosses and arm MEDEVAC helicopters is not a violation of the law of war or the Geneva Convention. Another argument put forth is about how the Red Cross symbol itself is a morale booster for troops. They argue that arming the helicopters would require the removal of the very symbols that lift spirits out in the field. It seems more likely that morale is boosted not by a paint scheme, but by the anticipated arrival of a medical evacuation aircraft. It is a matter of conditioning – troops would cheer Barney the dinosaur if it was painted on the nose of armed MEDEVAC helicopters. Sometime between 2006 and summer of 2010 the Army Aviation Applied Technology Directorate conducted research to determine the best colors to reduce detectability of helicopters across desert and vegetative terrain and against sky backgrounds. The tests assessed visibility at distances of 1km and 3km from a computer modeled ground observer. Color samples were obtained from desert terrain in AZ and CA, and vegetative background colors were gathered from Monterey and Carmel Valley in CA. The results included three recommended monotone paint choices – optimized tan (FS30372) for desert environments, optimized green for vegetated environments and a mixed color (FS34201) paint for mixed desert and vegetated terrain. The tests showed that increasing the camouflage color more to the blue-grey end of the scale did not reduce the ability of the program to identify the helicopter against the sky. The sky has so many different lighting conditions that the program was always able to discern the helicopter. The problem was the underside of the helicopter will almost always appear black from a distance in the sky regardless of the color it is painted because it is in the shadow of the aircraft. As a result, the Army elected to downplay the need to camouflage its helicopters against a sky background, and to emphasize camouflaging them against terrestrial backgrounds. Red markings for enhanced visibility? Check. Wait! 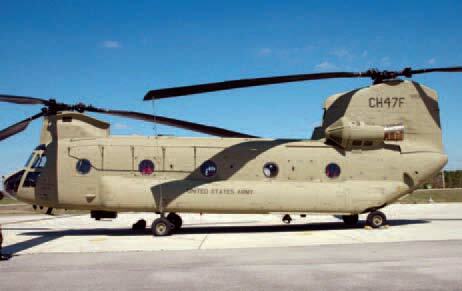 Isn’t that the standard paint on MEDEVAC helicopters in Afghanistan? Ah, yea as a matter of fact it is! Well, seriously. How important is visibility in an age of shoulder fired missiles? Does it really matter that the Army paint scheme maximizes visual perceptibility for ground observers? (1) Includes all hand-carried rifles such as the AK-47. (2) Includes all larger caliber, typically mounted, weapons such as the 12.7 mm DSHk and PKM. Also includes the 14.5 mm ZPU family of weapons. In Afghanistan, as in insurgencies in general, the bad guys do not have an air force. This relieves the concern of a visual look-down, shoot-down scenario where a terrain matching paint scheme would provide some protection. Unless a major power is sponsoring the insurgents, they also tend not to have shoulder mounted anti-aircraft missiles or other systems that use heat seeking, laser or radar targeting systems. This has been the case in Iraq and Afghanistan. The types of hostile fire that downed American helicopters are visually sighted small arms (e.g. AK47s), heavy machine guns, and rocket propelled grenades. So choosing a paint color that minimizes the ability of an enemy to accurately find, track and target an airborne unarmed MEDEVAC helicopter sounds like a pretty good idea. 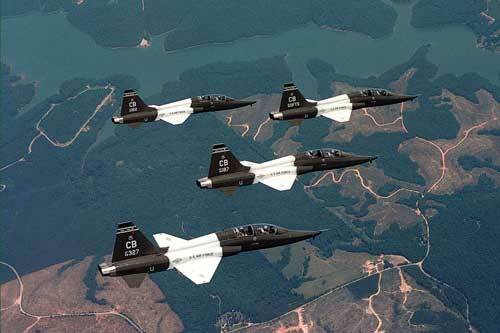 One thing that the Army paint tests did get right – the undersides of aircraft tend to be perceived as being black because of the angle of the sun relative to the aircraft. This is not a new problem. As a matter of fact it was addressed by the US Navy during WWII when it discovered that the success of its anti-submarine patrols against surfaced submarines was less than expected. In the days before widespread installation of radar German U-Boat look-outs were able to visually spot the black image of the approaching aircraft 12-15 miles away which gave the Captain plenty of time to dive the boat and make targeting it much harder. In a surge of ingenuity the idea of counter-illumination was tested under Project Yehudi. Strong spotlights were placed on the leading edges of the wings and around the engine cowling of Navy Avenger dive bombers. By adjusting the brightness of the lights to match the ambient light level behind the aircraft the distance at which the aircraft could be discerned dropped from 12-15 miles to about 2 miles. 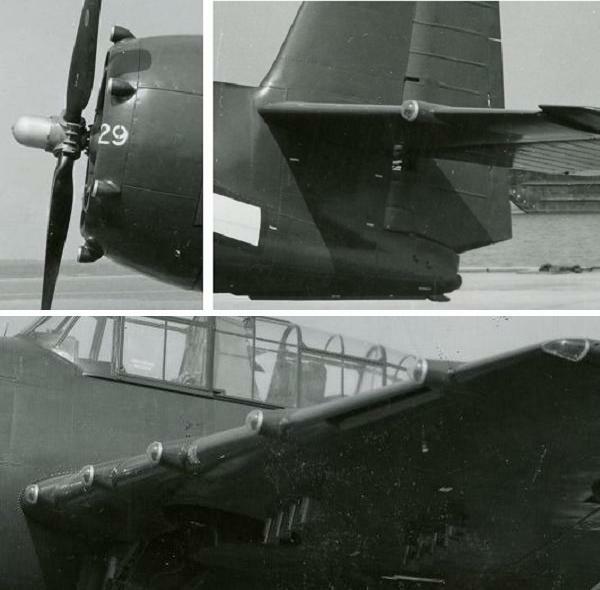 This made it possible for the plane to get close enough to a submarine to launch a torpedo or drop a bomb before the submarine had time to dive. Similar tests also were conducted successfully on Army Air Corps bombers with the lights arrayed beneath the wings and fuselage of the aircraft because of their higher altitude flights. While the Project Yehudi tests were successful, the spread of radar to submarines and ground anti-aircraft batteries made the lighting solution less useful and the idea was dropped. It was resurrected under Project Compass Ghost during the Vietnam War when the massive F4 Phantom flown by the Air Force, Navy and Marines proved to be exceptionally easy to spot visually due to its size and smoke trail. The lights reduced the visual acquisition distance by 30% but proved inadequate to the task. An outcome that was adopted was the blue grey color now used extensively on aircraft across the US military…except the Army’s helicopter fleet. Currently, research is being done with electroluminescent panels on drone aircraft that has demonstrated once again that visual target acquisition is significantly impaired when Yehudi/counter-illumination lights are deployed. The well-established helicopter color scheme used by the USAF, USN, and USMC for their helicopter forces. 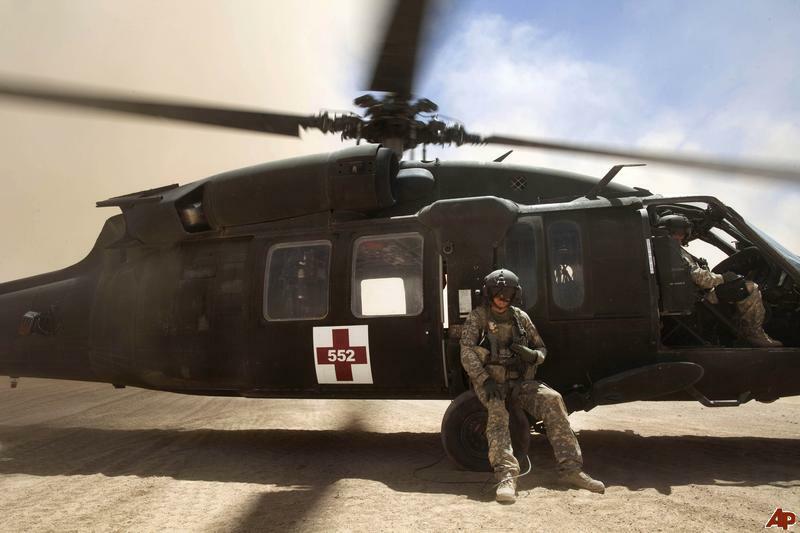 At a minimum it seems that unarmed, unarmored aircraft such as MEDEVAC Blackhawks should benefit from anything that reduces their susceptibility to visually aimed ground fire. The cost would be minimal and would require no modifications to the airframe or change orders for helicopters in procurement other than a change in the paint color to be applied. Would the new color scheme provide reduced visibility in all conditions? Certainly not, but either new color scheme does better than the solid OD green currently used. 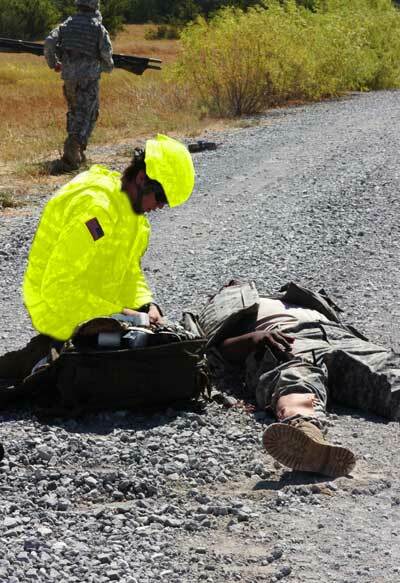 The Army doesn’t send combat medics out with ground units dressed in fluorescent yellow uniforms…does it? Very interesting article. Much food for thought and further reading. Please keep this coming. Geneva this and Geneva that. When, has Geneva been of any benefit to the American GI. At best marginal with regards to our WW II POW’s with Germany. Japan? North Korea? North Vietnam? Get serious. The one country that doesn’t need Geneva, the U.S., is because our combat doctrines do not engage in gratuitous violence for the sake of terrorizing civilian populations. To take WW II as an example, whether friend or foe, every army that fought in WW II always provoked fear and apprehension at their approach. Except one, the US Army, the best good will ambassadors ever conceived. Always good for candy for the kids and quality cigarettes for the adults. If you wanted a fight with the Army, you were going to get one; but, if you were cool so were our GI’s. And, yet, we cling to Geneva, that hasn’t done our GI’s one modicum of good except to further endanger them on the battlefield with yet another ROE to dance through. 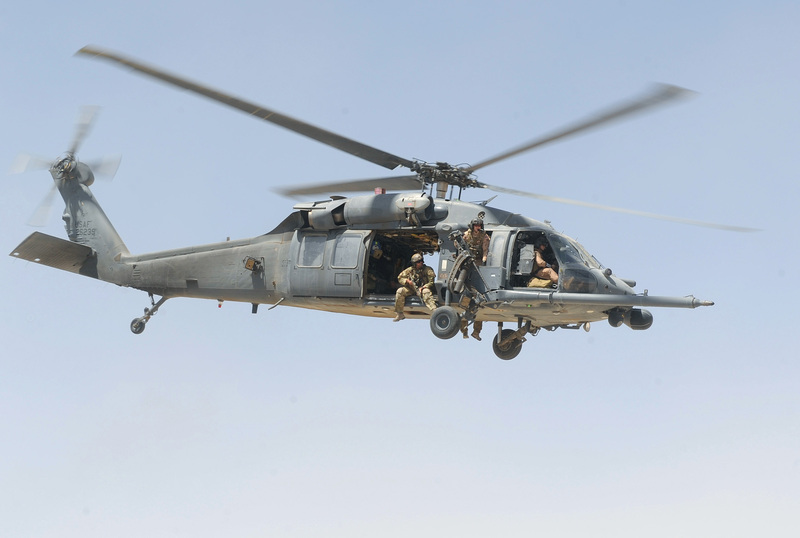 We also know that USAF Pedros which are primarily designated for high risk Combat Search and Rescue wear the blue-grey paint which – like the Army’s research proven optimized desert/ vegetated terrain matching paint – is much lighter than the Army’s green.